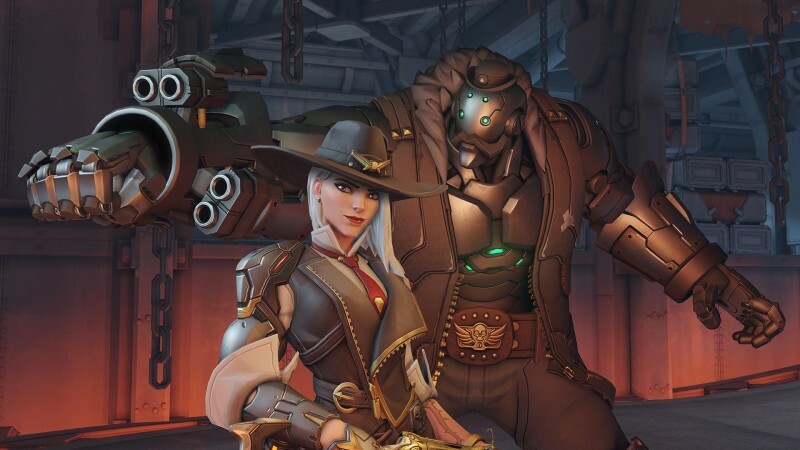 It feels like only yesterday that Ashe, the silver-haired gunslingin' hero from the southwest, was announced for Overwatch. It was in fact several yesterdays, as Ashe has now been moved from the playable test realm servers to now being available for everyone, so you don't need to wait long to start using her. Ashe was announced at Blizzcon earlier this month as part of McCree's animated short, hinting at a past between the two old westerners. You can check out her overview trailer below, showing off her various moves and her ultimate, summoning a robot cohort named Bob. Alongside Ashe also comes the newest Overwatch patch, where a few changes roll out for other heroes. Mercy, Symmetra, Reaper, and Roadhog all earn themselves buffs in this update, which should be good news for beleaguered Mercy fans who have been watching her get systematically nerfed after an overcompensation rework last year. You can take this new patch, and the new character within it, for a spin right now on PlayStation 4, Xbox One, and PC.